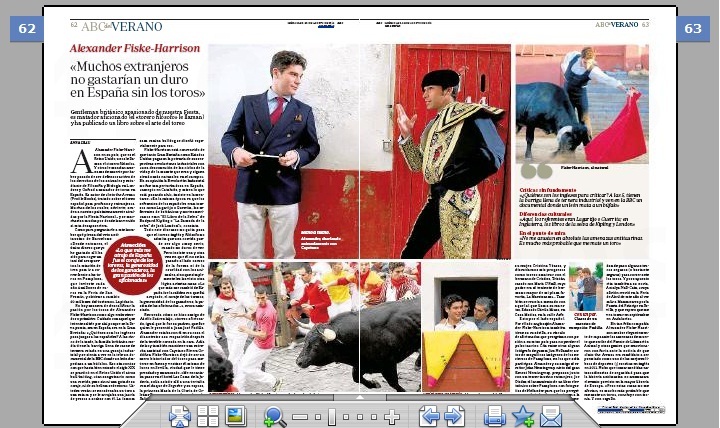 A couple of weeks ago the eleven newspapers of the Vocento Group in Spain – El Correo, El Diario Vasco, El Diario Montañés, La Verdad, Ideal, Hoy, Sur, La Rioja, El Norte de Castilla, El Comercio, La Voz de Cádiz, Las Provincias – ran the following interview with me. The only exception was ABC which ran this one a few weeks before. 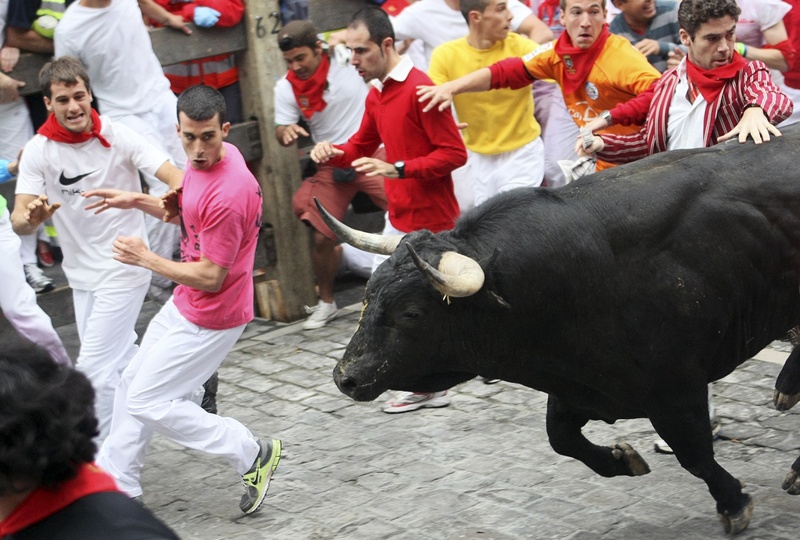 Having crossed through a dimensional portal, suddenly he appears in the bull-run of Cuéllar (Segovia), in an out-and-out race with Spanish fighting bulls, a copy of the Financial Times rolled up in his hand. 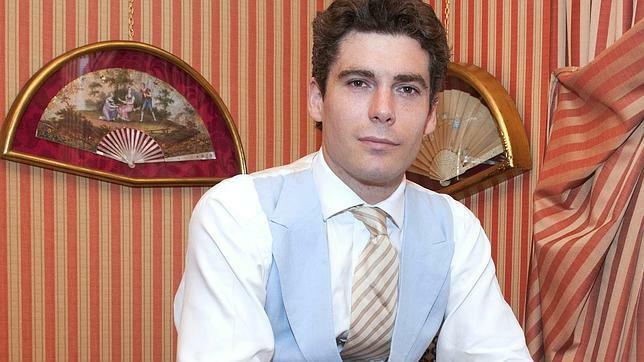 With each stride, Alexander Fiske-Harrison, English gentleman, writer, actor and reporter for the British press spans the huge distance between his world of the cultural and economic elite of London and the bull-run of Cuéllar with its dust, hooves, horns and shoe leather. This is the story of how one man crossed through the door of these parallel universes and then relayed it in the first person to the most anciest newspaper in the City. 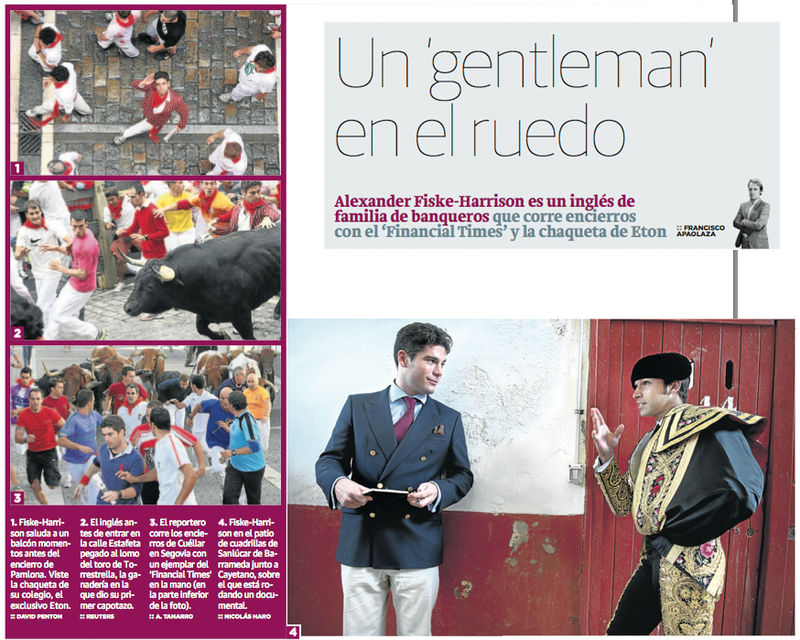 The Spanish national newspaper ABC ran the following interview with me last week (with photos by Nicolás Haro). 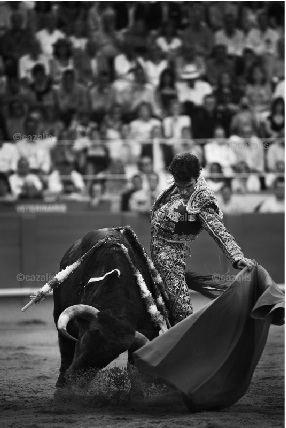 A British Gentleman passionate about the Fiesta, he is an amateur matador (the “bullfighter-philosopher” they call him) and has published a book on the art of bullfighting. 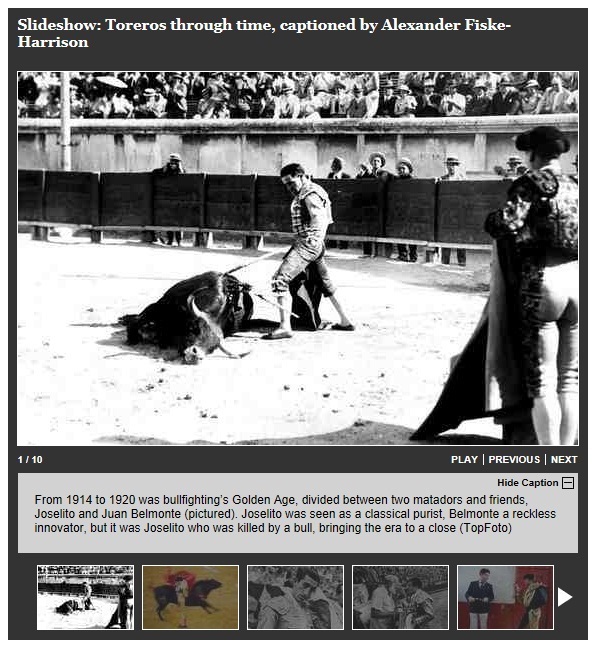 To Alexander Fiske-Harrison in his own country, which is the UK, some call him the “bullfighter-philosopher.” While others send him death threats, since he has gone from being active supporter of animal rights and a student of philosophy and piology in London and Oxford to being a matador in Spain. 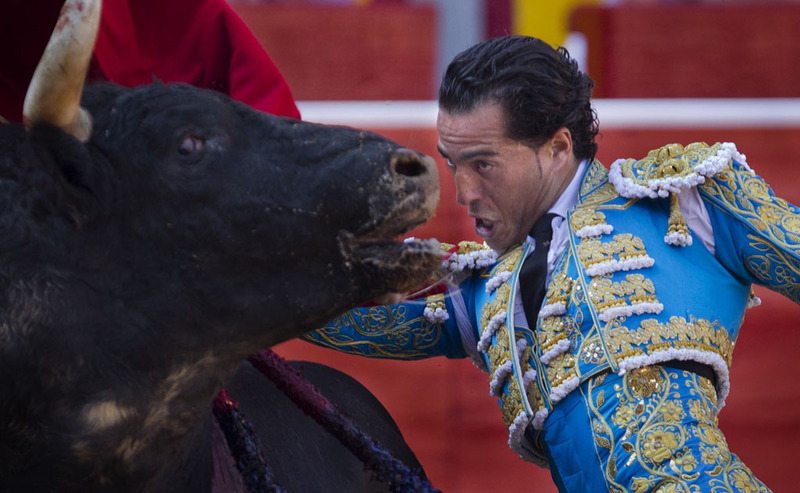 He is the author of Into the Arena (Profile Books), treatise on Spanish bullfighting for non-believers and foreigners. Many of which, he notes, come to our country intensely attracted to the fiesta nacional… and would swiftly back from where they came if this disappeared.